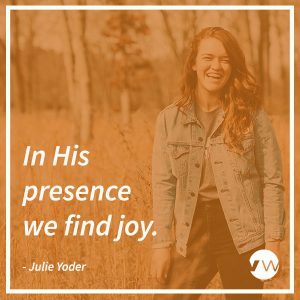 Julie Yoder shares about finding joy at the Vineyard Church of Central Illinois. Julie Yoder Growing up with four brothers, playing college volleyball, teaching 4 years at the middle school and being raised by pastor parents was fantastic preparation for ministry! 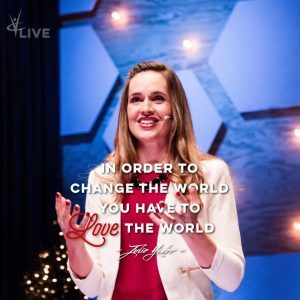 In addition, Julie is a graduate of Olivet Nazarene University, Vineyard Leadership Institute, Vineyard Bible Institute and the School of Kingdom Ministry. She served for 5 years as the Small Group pastor at the Vineyard of Central IL (Urbana). Now, she, along with her husband Mike, are the Executive Pastors there. They love partnering in ministry and in parenting their three rambunctious children; Ty, Tate, and Maggie. Thankfully, they live across the street from her parents, Happy and Dianne Leman!